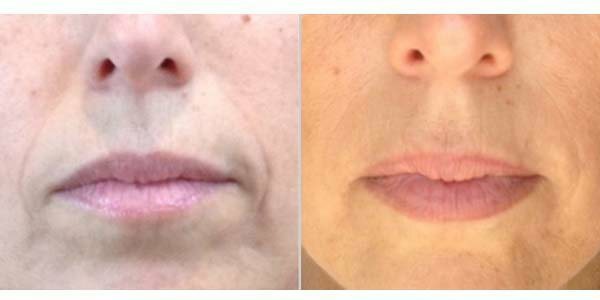 How Many Treatments of Juvederm in Princeton NJ Do You Need? We are pleased to offer Juvederm Injections at our Medical Spa in Princeton, New Jersey and surrounding areas. Please contact us for assistance. Juvederm is a hyaluronic acid injectable that is injected into the face to help reduce the signs of aging. Hyaluronic acid (HA) is a type of sugar compound that is naturally found in tissues of the skin and cartilage. This compound binds water molecules together to create more volume, and give the skin more elasticity. Juvederm it is used primarily around the mouth and jaw areas. The treatment works best on wrinkles and lines that are static since these are areas you see when your face is still. Juvederm can help to soften smiles, enhance lip size, restore fullness to the cheeks, and help to contour the jaw line. Why is Juvederm Different from Other Fillers? Because of the ingredients in most facial fillers, they leave your skin with a granular texture, this can sometimes make your appearance seem unnatural, as well as leave a rough feeling on your skin. Unlike other hyaluronic acid fillers, Juvederm uses a unique formula that gives your skin a youthful, natural appearance. Should I Be Tested For Allergies Before Getting Juvederm? No, getting an allergy test before treatment is not necessary. Juvederm is quite safe and has not been known to cause allergic reactions. What Makes Juvederm Different From Other Collagen Injections? Both Hyaluronic acid and collagen are found naturally in the body. These two components work together to give your skin its healthy appearance. Over time though, both these substances tend to break down which results in the skin becoming thinner. In order to help prevent this, collagen injections are used. Collagen injections have been used to treat wrinkles and skin elasticity issues for many years. These injections, like Juvederm, are used to restore fullness to the affected area. Although collagen injections are effective, they normally wear off in as little as four months. On the other hand, Juvederm products have been known to last much longer. The ultimate accomplishment of Juvederm is that it restores the natural looks of the face by utilizing natural ingredients already found in the body. Just one treatment of Juvederm will help individuals feel more confident with their appearance. The effects typically last for up to a year; however these results may vary from patient to patient. How Much Time is needed for the Procedure? The process of the treatment is fairly quick; it only takes about an hour or less, although this depends on the area. You should also allow extra time to consult with your doctor before the treatment. How Painful Is the Juvederm Treatment? A tiny needle is used for injecting Juvederm directly in the skin. Since the needle is so small, the amount of pain normally felt is reduced greatly. In addition to the original Juvederm, Juvederm XC is used to provide extra comfort during treatment since lidocaine, a pain reducer, is added to the formula. How Does Juvederm Get Injected? Doctors use a syringe to inject the product underneath your skin. The Juvederm gel flows easily into the skin. Afterwards the skin will be softer in appearance, and have a natural look as well. Immediately after the treatment you should see improvement in the areas injected. Although just one treatment is enough to give results, supplemental injections are recommended to maintain the appearance. How Much Recovery Time Is Needed After The Treatment? Since Juvederm is such an easy procedure it requires minimal downtime. In fact, most people return to their daily activities right after the treatment. Although side effects with Juvederm do exist, the symptoms are typically mild. Most people find that their skin tolerates the treatment very well. The possible side effects are skin redness and slight swelling. Bruising can also occur around the injection area as well. These symptoms should last no more than 7 days. Can Juvederm Be Used on Different Skin Types? Studies have shown that Juvederm is safe and effective on all skin colors, with no increased risk to hyperpigmentation or scarring.